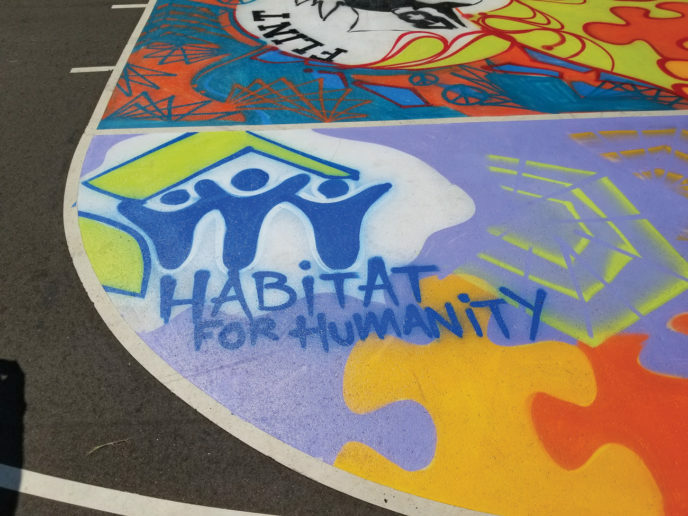 The barely two-year-old Habitat BRAND – Building Resident Action by Neighborhood Design – program is adding hope to Flint by changing neighborhoods aesthetically, bringing people together in a positive way and building new memories meant to leave an optimistic mark on the city. 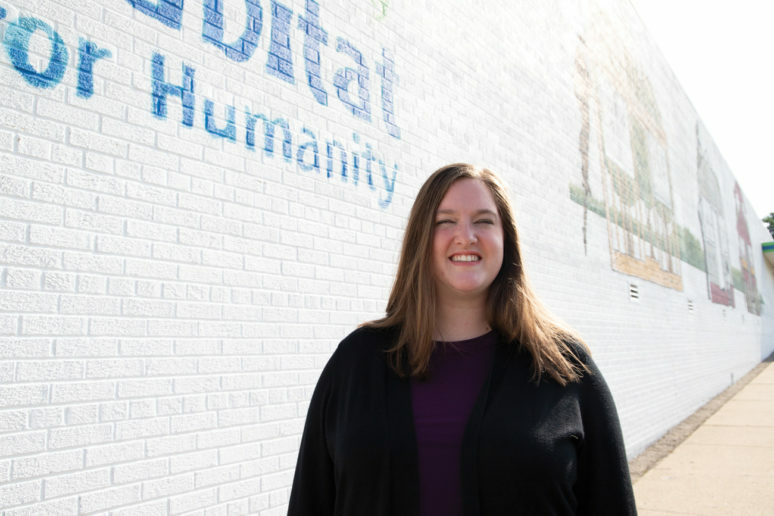 Archambault, 28, is a former Peace Corp volunteer who taught English education and leadership development workshops in Panama, and is an AmeriCorps alumna who served at the City of Flint. 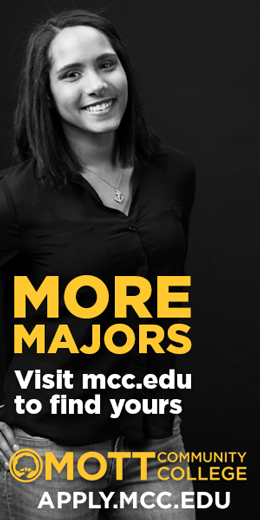 As a consultant to various Flint neighborhoods, she is enthusiastic about offering her expertise in areas such as budgets, action plans, evaluation methods, execution of plans, conflict resolution and marketing. 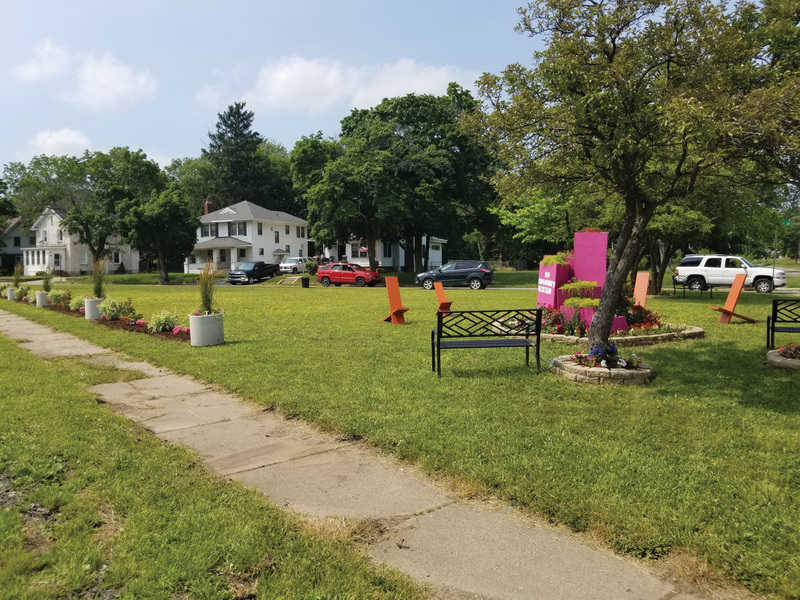 An example of how BRAND’s influence and inspiration are enhancing Flint neighborhoods is the recently constructed 80’ x 20’, covered multi-purpose stage structure, complete with a fully-handicap assessible ramp, electricity and lighting, built in the center of Civic Park on the Dayton Place corridor. Civic Park and Flint native and Second Ward Councilman Maurice Davis, 62, who believes “you’ve got to fight to make change,” is credited with having the vision for the stage. 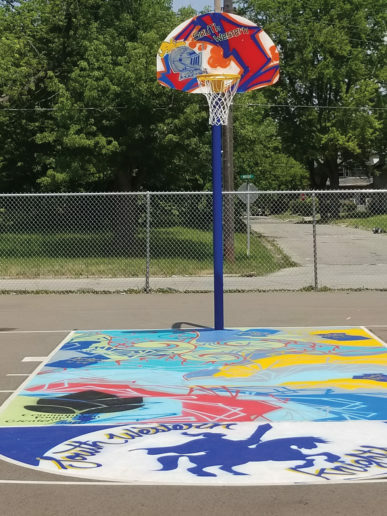 Other brand projects include dewey park basketball court. “We’ve never had this before,” says Councilman Davis. “For so long, all we’ve known is blight and crime. But, the people in Civic Park are retired, mostly elderly and loyal to their neighborhood. It’s about time we work to remove that negative stigma. We’re making progress, but we have a long way to go. Without Habitat and people like Corey, there’d be no hope here. They’re a lifeline to bettering this community.” Collaboration began between the Councilman and the Historic Civic Park Preservation Association, who then approached and applied to Flint BRAND for consultation and funding to build the stage. Apprentices are funneled to Sweesy through the Habitat Apprentice Residential Training (HART) program. HART was launched in 2018 to help bring on-the-job training and skill development opportunities to apprentices learning construction trades. Apprentices help Flint BRAND with home repair and home construction projects. 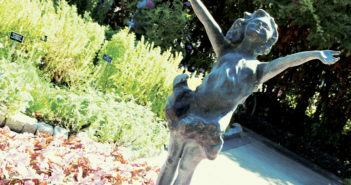 The Civic Park stage is an outdoor space designed by the residents it serves that can now provide opportunities for music, community meetings, movie nights, and reunions. An upcoming Halloween trunk-or-treat event is in the works. Flint BRAND is doing what it set out to do – enhancing Flint, one neighborhood at a time. For information on Flint BRAND, contact Corey Archambault at 810.766.9089. Previous ArticleFor the Thrill of It!